(leading to ExpertRating Introduction to CorelDraw X3 Skills Certification). Are you a pent-in Picasso? No space in your home for an easel and palette? Then learn how to draw and paint without pencils, pastels, or watercolors using your computer and the imaging software, CorelDraw. Want to unlock the artist inside but you can’t draw a straight line or a round circle? No sweat! This course was developed with the beginner in mind, but those with design experience will also benefit from the detailed, step-by-step instructions. You’ll learn how to add special effects and brilliant colors to your designs while creating a professional-looking newsletter and greeting card. You’ll also learn how to add exquisite text to images to create logos and letterheads and export your designs to other applications like Microsoft Office, Adobe Acrobat, and the Web. Whether you’re designing for business or pleasure, this course will supply you with all the tips and tricks you need to know in order to create images of the highest quality. This course includes a knowledgeable and caring instructor who will guide you through your lessons, facilitate discussions, and answer your questions. The instructor for this course will be John Sadlouskos. 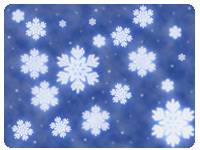 About the ExpertRating Online CorelDraw Course instructor : John Sadlouskos has a B.F.A. from the University of Arizona and has worked as a Technical Writer for over 10 years. He has worked for government agencies, financial institutes, and the transportation industry. He specializes in writing easy-to-follow, step-by-step user instructions for software, consumer and industrial products, and regulatory applications. Introduction to CorelDraw X3 requirements: For taking this instructor led ExpertRating Online CorelDraw Course you need Microsoft Windows Vista, XP, or 2000; CorelDraw Graphics Suite X3 or CorelDraw Graphics Suite X3 Upgrade or CorelDraw Graphics Suite X3 Student and Teacher Edition are all acceptable (please be sure to install the software on your computer before the course begins); Internet access, e-mail, and the Netscape or Firefox or Internet Explorer Web browser. Artistic ability is not required, just a desire to be creative. Note: this course is not suitable for Macintosh users. Users of CorelDraw 12 and CorelDraw X4 will also be supported in the Discussion Areas. "A great course! I did not realize that CorelDraw had so many creative capabilities. The assignments were challenging and fun. I am inspired to keep on learning more about what this program can do." "A very well constructed class. Lessons provided hands-on practice as well as being interesting. I enjoyed the class." "Great class! I have used what I have learned to create a graduation card, a going away card, a party invitation and a 4th of July card. I am confident enough to invest in a retail version and pass on my academic version. I started "Creating Web Pages" on the 20th and can certainly use Corel for my pages. Thanks again for a very well constructed class." "I am a 44-yr-old high school graduate. This is my first college course. And though it was something basic and useful, it gave me confidence that perhaps will lead to more class taking in the future. Thank you!" "I have taken many courses through ed2go and this is one of the best." "I have used CorelDraw occasionally for years without fully utilizing some of the powerful features that this great drawing program has to offer. 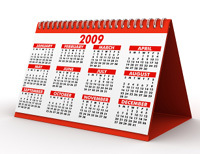 The lessons and assignments did an awesome job of utilizing many of the tools in the software. I will now be better prepared to draw more complex drawings with much more ease. Thank you!" "Intro to CorelDraw was extremely helpful to me. I have used several tutorials in the past, but this course gave such a great overview of Corel, especially in addressing the object manager...Thank you." "I purchased Corel Draw for my home use and it was just collecting dust because I did not know how to use it. This course was extremely informative and helpful to get me started on my own projects. It covered a significant portion of the product but was very understandable and easy to follow. Thanks very much for the quick start to Corel Draw!" "I really enjoyed this course. John is a great instructor. The questions and answers were very helpful too. Now I feel confident enough to learn more on my own and eventually use CorelDraw for my home business. I look forward to taking more online classes." "John, this was a great course, and I really enjoyed it. It was a great introduction to CorelDraw and easy to follow. Thank you." ExpertRating is one of the world's only ISO 9001:2015 Certified companies (from TUV America) offering an Online CorelDraw Course (leading to ExpertRating CorelDraw Skills Certification). When you choose the ExpertRating Online CorelDraw Course you can be sure that you are buying a premium International certification that is recognized by hundreds of employers and Government bodies in the US and other countries. With ExpertRating you get certified quickly online and you are equipped with a store house of information through the in-depth ExpertRating Online CorelDraw Courseware which has been developed by experienced Computer Applications Experts. The ExpertRating Corel Draw X3 Skills Certification is by far the best value for money instructor led Corel Draw X3 Program at $129.99. How much does the Corel Draw X3 Skills Certification cost and what does it include? You can buy this ExpertRating Online CorelDraw Course leading to Corel Draw X3 Skills certification at a special offer price of only $129.99 which includes the in-depth ExpertRating Online CorelDraw Course courseware and exam fee. This is the best value for money Corel Draw X3 Skills Program available till date. You get the following services within the USD $129.99 fee. 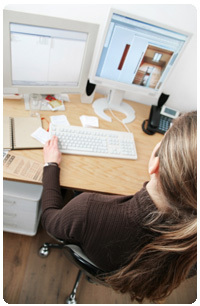 In-depth courseExpertRating Online CorelDraw Courseware including scenarios and examples. World wide airmail delivery of the hard copy Corel Draw X3 Skills Certificate. 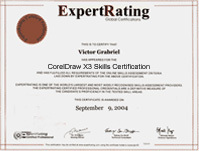 The Corel Draw X3 Skills Certificate can be used to prove your certified status and does not mention the words "online". The process of getting yourself certified is very simple. All you have to do is buy the ExpertRating Online CorelDraw Course for $129.99. Log in to the instructor led course using your password. Go through the ExpertRating Online CorelDraw Course courseware (which would take you 6 weeks) and complete the final Corel Draw X3 Skills Certification exam at your convenience. You can complete the exam within 2 months of buying the Corel Draw X3 Skills Certification. The result of the exam appears as soon as it is completed, and your Corel Draw X3 Skills Certificate is mailed immediately. Chapter assignments to help you practically use the Corel Draw X3 Skills that you will learn during the Corel Draw X3 Skills Course. The final exam is fully based upon the ExpertRating Online CorelDraw Course courseware that is provided along with the Corel Draw X3 Skills Certification. If you have gone through the courseware properly you should not have a problem clearing the exam. The exam consists of multiple choice questions from all chapters of the ExpertRating Online CorelDraw Courseware. According to the U.S. Bureau of Labor Statistics, the employment opportunities for graphic designers are expected to grow by 10 percent from 2006 to 2016. CorelDraw is a vector graphics editor tool which operates differently on varied objects. You can modify images and videos with CorelDraw. You can add music to photo albums and view and edit video clips with the help of this useful tool. CorelDraw contains a wide range of editing tools with which you can adjust color, contrast and change the format from RGB to CMYK. There is a huge variety of clip art and fonts that you can make use of with CorelDraw. CorelDraw provides the designers with a wide array of features and tools and lets them use their creative potential to the fullest. The ExpertRating CorelDraw Certification will give wings to your creativity with a comprehensive guide on this useful application. CorelDraw is different from other image editing applications in that it is vector-based. Many other image editing applications will force you to work with graphics in a bitmap format. Do you know the difference between bitmap and vector images? Before you open CorelDraw, this lesson will describe the differences, explain the pros and cons, and then show you some examples of each format. Afterward, you'll tour CorelDraw to see how some of the menus and tools are arranged. Then students will jump right into it and draw some shapes with the Smart Drawing tool. You'll also learn how to use the Zoom tool, the Hand tool, and the Pick tool. This lesson is all about the meat and potatoes of CorelDraw: the shape-creation tools. This lesson will start with the basics—using the Ellipse tool and the Rectangle tool to draw circles, squares, and rectangles. Then you'll practice using the Polygon tool, the Spiral tool, the Star tool, and the Perfect Shape tool to draw more intricate shapes. Afterward, you'll form your shapes into images using the weld function. Finally, you’ll get a chance to practice adding colors to your newly created designs. This lesson is going to dig a little deeper into CorelDraw drawing tools as you learn how to create lines. You'll start with the Freehand tool, which simulates drawing with a pen or pencil on a piece of paper, but with an automated twist that makes it much easier to use. Then this lesson will explore the Outline tools. Outlines are the lines that form and surround shapes and objects, and you'll use the Outline tools to format, shape, and color those same lines. Afterward, the lesson will move on to curves and you'll learn how to use the Three-Point Curve tool and the Bézier tool to draw both simple and complex curves. Finally, you'll learn about the Artistic Media tool, which enables you to apply effects, styles, and objects to ordinary lines. This lesson will take a break from drawing tools and instead concentrate on layers. Layers are invisible planes that contain information about each object. You'll use them to organize, edit, and manage your drawings. Just as shapes are the building blocks of a drawing, layers are the frames that support those building blocks. The lesson will begin by layering one of your drawings from a previous lesson followed by learning how to layer as you create a new design. Did you also know that CorelDraw supplies you with a complete desktop publisher? In this lesson, you'll create a two-page newsletter using this feature. As you assemble your newsletter, you'll also learn how to set up a drawing page with the Page tab, apply and use guidelines, input and import text with the Text tool, and import objects into designs. The discussion on text will continue in this lesson, but this time it will concentrate on artistic text. You'll learn how to shape, form, and adjust artistic text to follow the path of an object or line. Afterward, you'll fill objects with color transitions, patterns, textures, and elaborate designs using CorelDraw fill tools. Then you'll apply what you've learned to create an original logo. In this lesson, you'll explore one of the favorite CorelDraw subjects—applying special effects to designs. First, you'll learn how to cast shadows on objects using the Interactive Drop Shadow tool. This is an excellent effect to use when you want to add a little realism to your objects. Then you’ll learn how to create see-through objects using the Interactive Transparency. You'll also practice transforming ordinary 2-D shapes into 3-D objects using the Extrusion tool. You'll get a chance to put all your CorelDraw skills to work in this lesson because this lesson will pull together as many different elements from what you've been learning into an apple design. This will give you more insight into how CorelDraw tools interact and show you some practical applications for these same tools. You'll also learn about shaping tools, including the Knife tool, the Eraser tool, the Smudge Brush, and the Roughen Brush. You'll mostly use these tools to shape, modify, adjust, and enhance objects after you’ve drawn them. In lesson 9 the exploration of special effects will continue, beginning with Power Clips. You'll use the Power Clip effect to place one object inside of another. This is a great way to incorporate bitmaps or photographs into your designs. Then students will take some ordinary shapes and completely transform them into amazing objects using the Interactive Distortion tool. Finally, you'll draw some balloons as you learn how to use the Eyedropper and Paint bucket tools, which allow you to copy the properties from one particular object into a completely different object. Once again, this lesson will concentrate on desktop publishing as you create custom-designed envelopes, business cards, and address labels while learning to use the Page Size window. Then you'll learn how to create a CD cover using a CorelDraw template. Not only will you learn how to choose from the huge selection of templates, you'll also create your own business stationary template to accompany the envelope, business card, and address labels you just designed. Then to top it all off, you'll design an original birthday card using the Page Layout window. In the final lesson, you'll design a series of presentations using drawings you've created throughout this class, and then you'll learn how to export them into different formats. This will enable you to post them on the Internet, insert them into documents and presentations, or email them to a friend in an easy-to-open format. This lesson will start by going over the Export window, which converts CorelDraw designs into various formats, and in turn allows you to view and update these same designs using all types of software. Then it will focus on specific formats, including Portable Network Graphics (PNG) and Portable Document Format (PDF). Finally, this lesson will conclude the class by creating an original Web page!